We just explored the structural crisis which led to the neoliberal counterrevolution in a recent post. Searching for data from the period I stumbled upon a remarkable articulation of the business consensus to solve the crises of declining profit rates and stagflation. 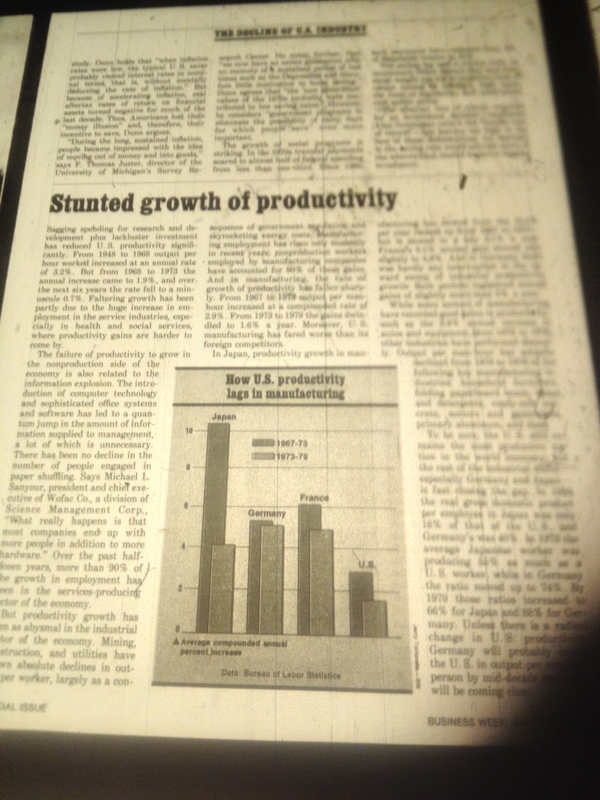 This was outlined in a special edition of Business Week from June, 1980, titled “Reindustrialization of America”. Unfortunately, this was not available online or in print. I had to use the microfilm room for the first time in years. It was strangely satisfying to read a 32-year-old periodical on an even older hand-driven machine. As I cranked through the magazine, my eyes grew wider and wider. This is not what I had expected. They identify the problem accurately: US manufacturing had become uncompetitive in world markets. Rising industrial powers, especially Japan, are taking a larger and larger market share of key sectors. There was indeed a productivity slowdown in the period 1973-79 vis-à-vis 1967-73. This was true across the industrial world (as is clear from the chart above) and was likely due to the macroeconomic shock of the stagflation crises. But as noted earlier, productivity had grown at 3.3 per cent between 1965-73, compared to 2.9 per cent in the golden age of 1950-65. Therefore, it is clear that it could not have been the reason for the secular decline in the rate of profit of US manufacturers from 1966-82. The problem wasn’t that there was a slowdown in the growth of productivity of US manufacturers per se. Productivity growth accelerated in the early years of the crisis (1965-73) and the slowdown in the latter years was more than matched by that of Japanese manufacturers. 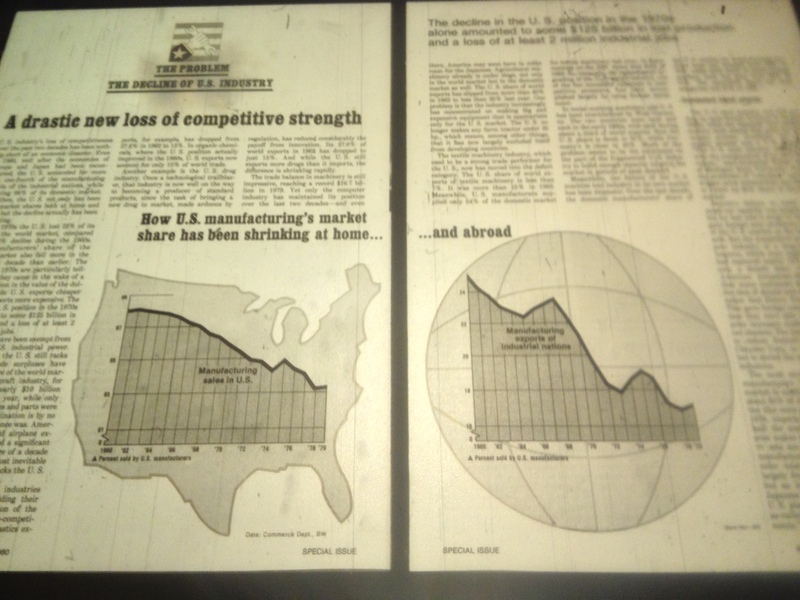 It was that the productivity of US manufacturers was growing slower than those of their Japanese and German rivals. This was taking place in a period of collapsing transport costs due to the container revolution which benefited the rivals more since the US market was still about half the world market for advanced industrial products. Anyway, let’s look at what they had to say. They make an interesting observation about the insidious effect of inflation on the bottom line of US firms. There is a lag between paying for investments in plant and equipment and selling the produced goods. Since both are booked in nominal dollars, in a period of high inflation this overstates the actual profits. Whence, US firms were able to declare large profits even as they were unable to afford new investment to enhance their productivity. There were whole sections on the failure of management and complaints about how giant firms are being run by bureaucrats, marketers, and financial officers. Another section is devoted to how regulation is strangling US firms. It becomes pretty clear that Business Week is being consciously critical of their target audience: managers of great US firms (“even business shares some of the blame for this decline”). An entire section is devoted to the unsustainability of the collective bargaining war. US firms and industrial unions have “failed to reach a truce”. Automatic increase in labor costs from medical and pension benefits (which have grown faster than inflation) contribute to inflation and squeeze profits. A whole page is devoted to entitlement and pressure for income redistribution. A ‘psychology of affluence’ is blamed. ‘Expectations that can no longer be met.’ This sets the state for the solution being offered. The goal proposed by Business Week–which is nothing but a mouthpiece of the hitherto dominant business elites–was to “reverse the decline of the manufacturing sector”. Following the example of Japan, “the most successful industrial nation in the world”, United States should pursue a robust “industrial policy” to recover its leadership in high-tech and major industrial sectors. That it should learn from Japan and Germany and forge a consensus among social groups behind a common goal, the reindustrialization of America, to be achieved by a laser-like focus on accelerating the growth of productivity. Policy must be geared to increase the savings rate and incentivize investment. Monetary policy ought to be firm, predictable and non-inflationary to “give businessmen the confidence to invest”. Furthermore, United States should follow a more agressive trade policy to keep foreign markets open to US penetration, especially in the crucial high-tech sectors. But this cannot be achieved without a new social contract and a more consensual national politics. Last november, writing about the dominance of finance, I posed a straight forward question. “Given the form of the post-war compromise–with control in the hands of corporate and state planners and Keynesian management of the macroeconomy–why did the response to the structural crises not take the form of an attack on wages and welfare spending whilst still constraining financial interests?” I had assumed that a vague consensus on something very much along the lines of what actually transpired in the 1980s, the neoliberal counter revolution, had been achieved by the time it was being put into effect (1980). Which is why reading this document was such a shock. As it turns out, what the leaders of industrial firms wanted was precisely what I had imagined. They wanted a crackdown on labor and welfare. They demanded prudent management of the macroeconomy. They wanted the policy of the US state to enhance their competitiveness in global markets. They wanted less regulation. They wanted investment tax credits. In fact, they went much further. 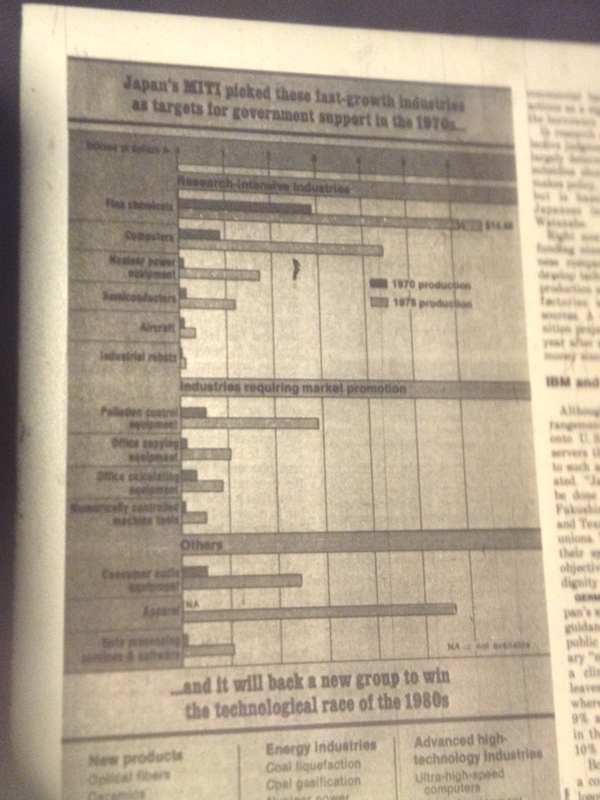 They wanted an industrial policy, whereby the ‘winners’ would enjoy substantial state subsidies and support. Finance would then necessarily have to be subservient to industry like it was in Japan. Oh boy, did they not see it coming. The policy stance of the US state in 1980-85 was radical. Reagan mounted an unprecedented attack on unions and cut labor down to size. He reduced the top marginal tax rates from 70 per cent to 28 per cent, the deepest single-term tax cut in US history. He ratcheted up military spending and reigned in welfare spending. No industrial policy was followed by the US state modulo the Pentagon gravy train which had been a staple in the entire post-war period. In any case, this wasn’t a rational Japanese-style industrial policy, just straight forward corporate welfare. It was, however, the monetary stance of the Federal Reserve that devastated US manufacturers. 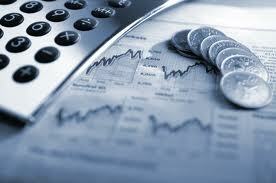 The sharply higher interest rates resulted in a transfer of surplus from industry to finance. Moreover, the strong dollar made US manufacturers even less competitive vis-à-vis their Japanese and German rivals. A major chunk of the American industrial base was wiped out, even as the coffers of the financial sector started bulging with cash. It was not just the policies followed by the US state which upturned the relationship between finance and industry. There were multiple overlapping transformations that occurred simultaneously and permanently reconfigured the alignment of forces acting on the American economic and political landscape. At this point, it is useful to make an analytical distinction between competing forces. By “market”, I will mean the capital markets. Some of these are highly liquid (currencies, treasuries, oil) which can only be influenced by the big fish and that too only at the margins. Others are shallower and easily controlled (think of the stock of a medium sized manufacturer in the mid-west). By “finance capitalism”, I will mean plutocrats, ‘moneyed interests’, and the financially active ultra-wealthy generally; the sense in which Braudel came to use Capitalism. By the “financial sector” or simply “banks” and “bankers”, I will mean primarily the big New York banks run by banker-managers, the ‘administrators of interest bearing capital’ and providers of financial services. By “US firms” and “industry”, I will mean nonfinancial corporations, mostly manufacturers. In the early post-war period, finance capitalism was basically dormant, biding its time. The bankers used to run around the executives of US firms peddling their services. The financial sector was essentially a service sector. Most surplus was concentrated in the large industrial firms. The activity of finance, so to speak, was internal. It was the internal surpluses of US firms–their retained earnings–that accounted for almost all investment in productive capacity. Moreover, finance was heavily regulated by draconian laws put into books during the Great depression. As we have noted earlier, financial deregulation had already begun in the 1970s. The collapse of the Bretton-Woods fixed exchange rate system removed the raison d’être of capital controls, and these were relaxed in 1974. Developments in mathematical finance allowed the pricing of options and derivatives and these were the first financial instruments to come out as the financial sector began innovating in the 1970s. By 1980, financialization was beginning to pick up pace. With the Volker interest rate hike, the surplus and revenues of both finance capitalism and the banks started growing. The deregulation and freeing of the market in a period when US firms were weak, led to simultaneous responses by all these players. Bankers reoriented their business strategy from investment banking to proprietary trading and mergers and acquisitions. The first was a response to the arbitrage opportunities that arose with the freeing of the market and financial innovation. This was in fact a whole new dimension. Finance capitalism also thrust itself into this dimension: this was when hedge funds started in earnest. The mergers and acquisitions mania was the result of the weakness of US firms who were suffering under the strong dollar and the high interest rates. The lack of profitability of these US firms and their lack of financial firepower made them vulnerable to takeovers by their rivals. The bankers pushed this along and earned fat fees in the process. Many a banker’s fortune was made in M&A (including our dearest John Paulson). But it was finance capitalism which really took up the wrench here. The private equity revolution is absolutely central to the transformation of US business. Finance capitalism pooled its resources to amplify its financial firepower. It was thereby empowered to launch itself on weak US firms–in a hostile takeover bid if necessary–and take control. It then forced US firms into submission, purging management if required. It would then cut payroll and sell off under-performing assets, or simply chop it up into pieces and dispose them off for a tidy sum. The diabolical innovation of the leveraged buyout allowed the private equity moguls to offer the targeted firm’s assets as collateral for a loan undertaken to buy the firm itself. This innovation massively leveraged the financial firepower of finance capitalism. Many of the largest private equity firms were founded in the 1980s. The biggest of them all, KKR, had already been active since 1976. During the 1980s, there were about 2,000 leveraged buyouts. The response of US firms–those that were somewhat immune to the private equity onslaught because of their financial strength and gargantuan size–to the new environment was remarkable. They increased their financial operations and became, at least partially, financial firms. They did this to both exploit the extra dimension by financial speculation and to create a buffer to prop up their own stock prices through share buybacks. They also launched on transforming their operations to fend off the ‘barbarians’ and other firms which threatened to swallow them whole. So they started streamlining their operations and selling off peripheral businesses. Most of all they now had to reckon with the market. Indeed, the market became the key arbiter between these forces. Finance capitalism operated here directly, as when it fought with US firms to buy companies (fighting it out in the market for equity in the targeted firm); or indirectly, when it merely traded on the outcome of a acquisition as a hedge fund speculator. Bankers, in fact, became the ‘masters of the universe’, precisely by becoming the gate keepers of the market and its biggest players. The principal reason that financial institutions became so large (JP Morgan is now $2.265 trillion in assets) is this darwinian political struggle for supremacy. Was this struggle then won by bankers? Not so fast. One more piece is needed to fill the jig-saw. When finance capitalism and the bankers set about to rationalize industry, they put in place executives and set them against the workforce with instructions to carry out the dirty task. They were incentivized by the carrot of a possible promotion to finance capitalism. Exploding CEO compensation matched the bonuses of bankers. The fortunes of hedge fund managers, private equity moguls, and financiers dwarfed those of bankers and CEOs. I would say we should listen to the surplus cornered and say that finance capitalism won. The distinction is, however, academic. The real winners are those flying around in private jets (owned or corporate), with crumbs thrown into the top one per cent, the business class travellers, without whose acquiescence no political economy equilibrium would hold. One should not take the specific years seriously. The shift had ready begun in the early 1970s. The fixed exchange rate system broke down by 1973. Capital controls were relaxed in 1974 in the US, and in Britain in 1975. The Eurodollar market started growing immediately after. The consensus in the banking community that has always enveloped the Fed had already shifted to an all out fight against inflation. It was, after all, Carter who appointed Volcker. The interest rate hike began in the last quarter of 1979, more than a year before Reagan took office. And even late in the period of US financial hegemony, US nonfinancial firms have enjoyed considerable surplus, power, and autonomy from finance. Witness the big multinational industrials like GE, oil companies like Exxon-Mobil, retail giants like Walmart, health and pharmaceutical companies like Pfizer and UnitedHealth, agribusiness firms like Monsanto, aerospace firms like Boeing, military contracting firms like Raytheon and Lockheed Martin, media corps like TimeWarner and Comcast, and of course software giants like Microsoft and Google. We should be careful not to overstate the case of the dominance of finance. However, it is easy to demonstrate–as I hope I have done over the course of several essays–that there has been a secular realignment of forces. The current regime is quite different from the post-war one. When the interest rates finally went down (1986) and the dollar weakened with the Plaza accord (1985), the rate of profit was finally restored among US manufactures, after having grown only weakly in the recovery from the recession of 1981-82. At this point, it is clear that the political economy equilibrium had shifted irrevocably, for there was no movement to reverse the rise of finance. What had actually transpired was nothing short of a silent revolution marking the birth of financial hegemony. The returns to capital were restored, independent of any acceleration in the underlying productivity and profitability of US firms. The hegemony of finance was only to intensify further and further. Even with the solid revival of the profitability of US manufacturing in 1995 and the tech boom of the late 1990s, finance gained as much as Silicon Valley and US manufacturers and therefore held its ground politically. Following the tech bust in 2000, the Greenspan put quickly created another asset price bubble in real estate. This benefited construction and housing, but mostly finance. The defence boom of the Bush war economy then benefited military and intelligence firms which were already committed to finance-led neoliberal globalization, but also finance. Is it even possible for the fortunes of a sector to revive without finance gaining as well? How? It’s unclear how that can happen in a throughly financialized system arbitrated by the market. We are already beginning to glimpse how financial hegemonies can survive for an awfully long time. Hi, Neat post. There’s an issue together with your website in internet explorer, could test this? IE nonetheless is the market chief and a large part of people will miss your fantastic writing due to this problem. it happens to not do well. You will be losing a lot of money. If you have more than one stock, you will be more secure.